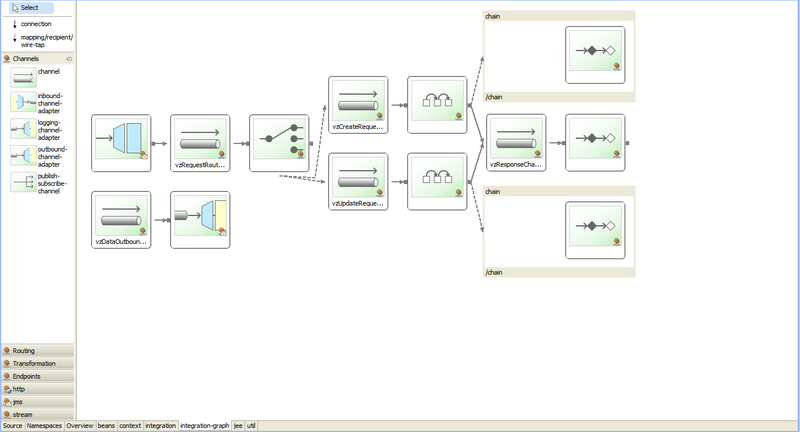 The Spring Integration Graph View packaged with Spring Source Tool Suite (STS 2.5.2.RELEASE) is brilliant. 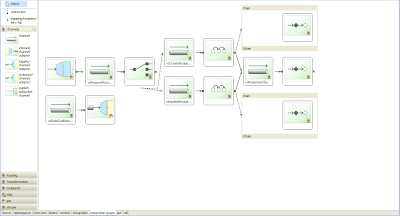 If I compose multiple flows into a single Spring configuration file (using import tags), the Graphical view cannot display the composed flow. Different Spring Integration components can be created using annotations - these are also not reflected in the Visual view.